Having lived all my life only yards from the sea it was in my blood to have boats, go fishing and eventually scuba diving. When I was 19 I first started diving and I also joined our local lifeboat crew (coxswain) – 44 years later I’m still going strong with both. Being a diver myself I saw a growing number of divers coming to the Island and struggling to find dive services such as boat charter, air fills etc., a dive shop (Seasports in Port Erin) came up to let in 1998 so we took it over and bought a 5.5mtr Avon rib to take out divers. As the business grew I purchased a 6.5mtr Coastline rib and now being able to take out larger groups, in 2002 I converted part of my workshop into a dive centre, moved in the compressor from the shop and renovated the top floor as accommodation – at this point Isle of Man Diving Holidays was formed. Helping me on the boat is my son Tom (aged 30) who is our other skipper. 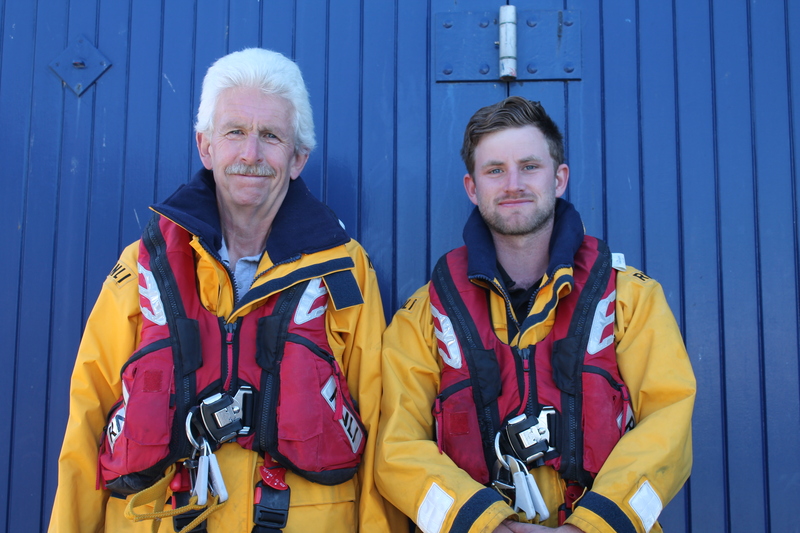 Tom has been coming out on the boat with me since he was 4 and has great sea knowledge, he is also a qualified diver and has been a crew member of Port St Mary Lifeboat since he was 17. Since joining the Lifeboat he has trained in Sea Survival, First Aid, Fire Fighting, RYA Powerboat Level 1&2 and Day Skipper.